A week after I arrived in Australia, I managed to find a group doing the exact road trip I was seeking. 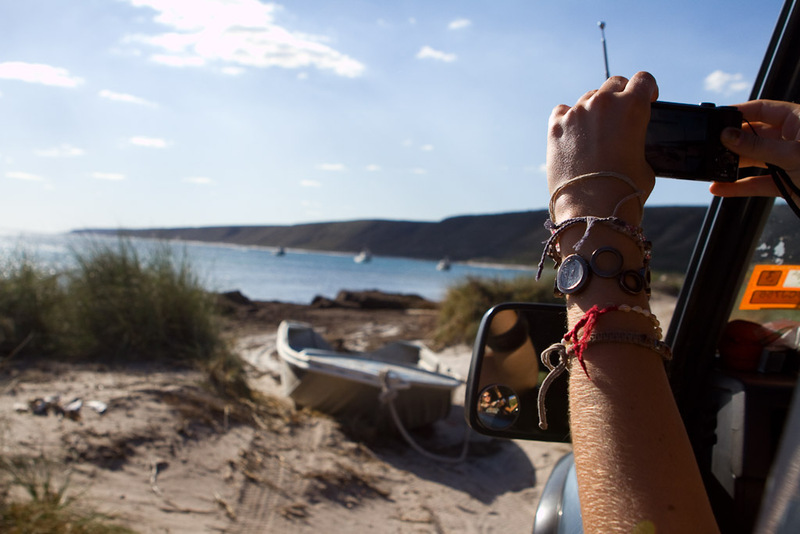 We left Perth and drove up to Exmouth in 7 days stopping along the way at The Pinnacles, Shell Beach, Monkey Mia and a dozen look outs and national park stops. We spent 3 days in Coral Bay and Exmouth and then headed over to Karijini National Park before driving home in a day and a half. THE highlight was certainly swimming with a 10 meter long whale shark in Exmouth, which I’ll post more about later. 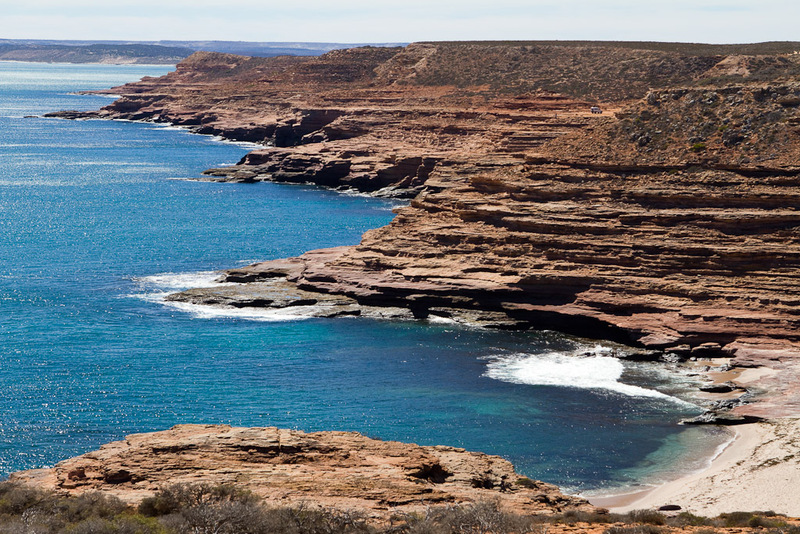 Other highlights included the gorges in Karijini, swimming for 15 minutes with a sea turtle in Coral Bay that didn’t seem to mind my presence, and the summation of the various lookouts on the drive up. Here are some shots from the road trip. The one above is of the group (minus one member who wasn’t feeling well) on shell beach – a beach up to 15 meters deep made entirely of small shells. 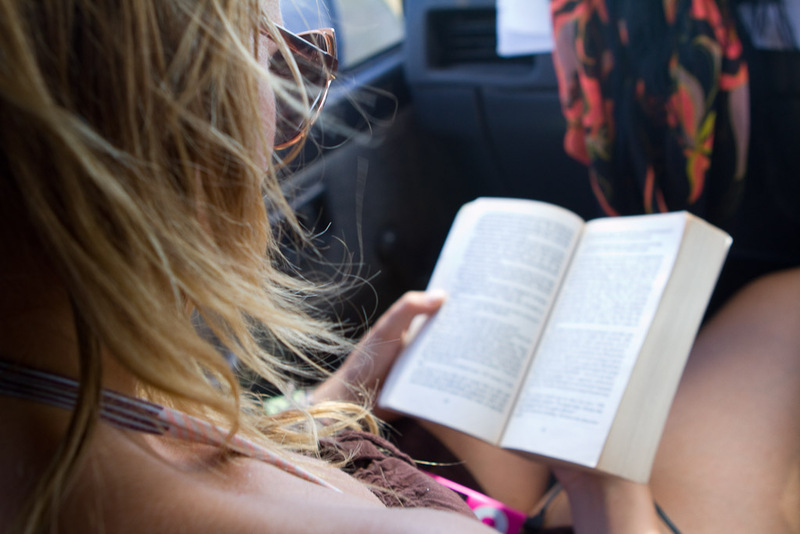 Music and books made the time go by in the long stretches between stops we spent on the road. 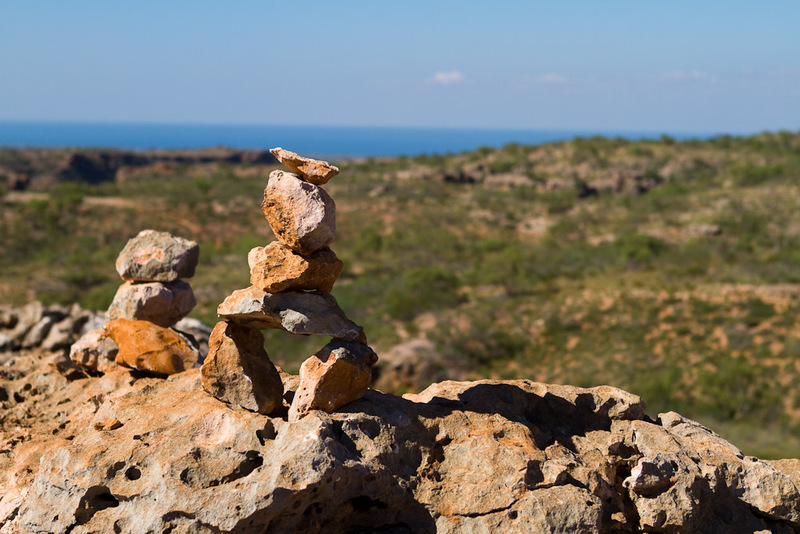 A pile of stones found on a lookout between Coral Bay and Exmouth. 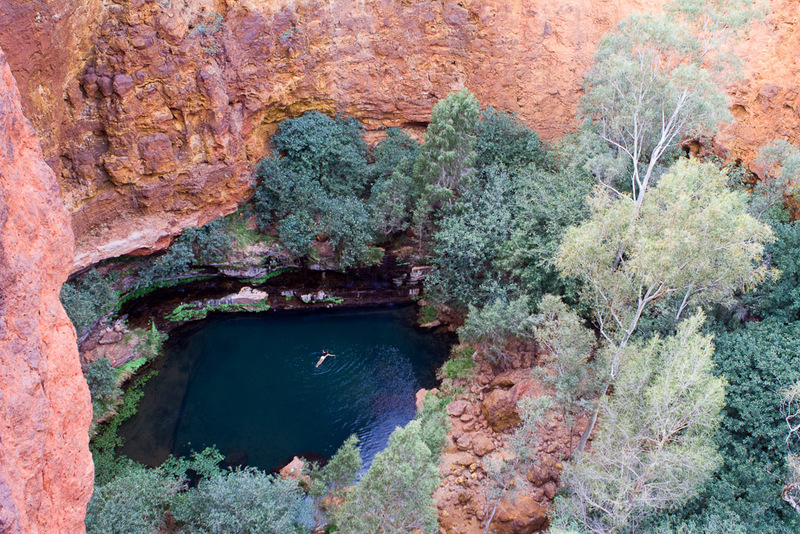 A swimming hole at the bottom of one of the gorges in Karijini National Park. 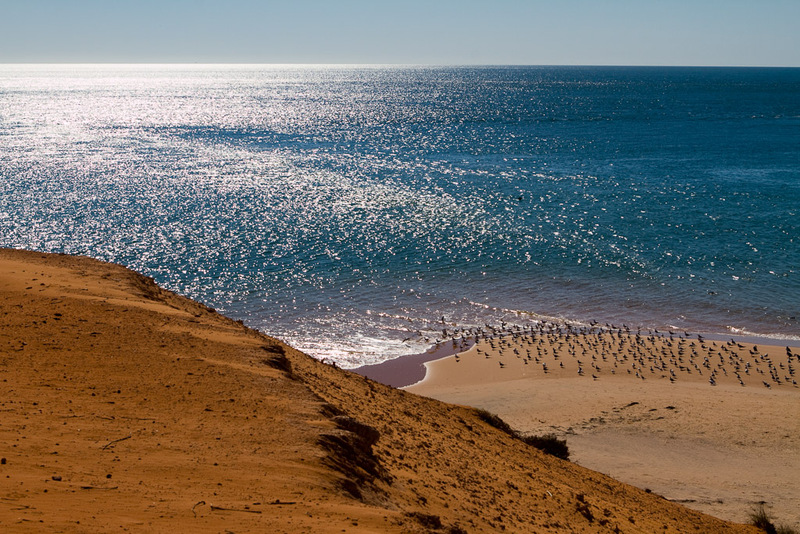 A beach with thousands of native cormorants – aquatic birds native to this part of Western Australia. 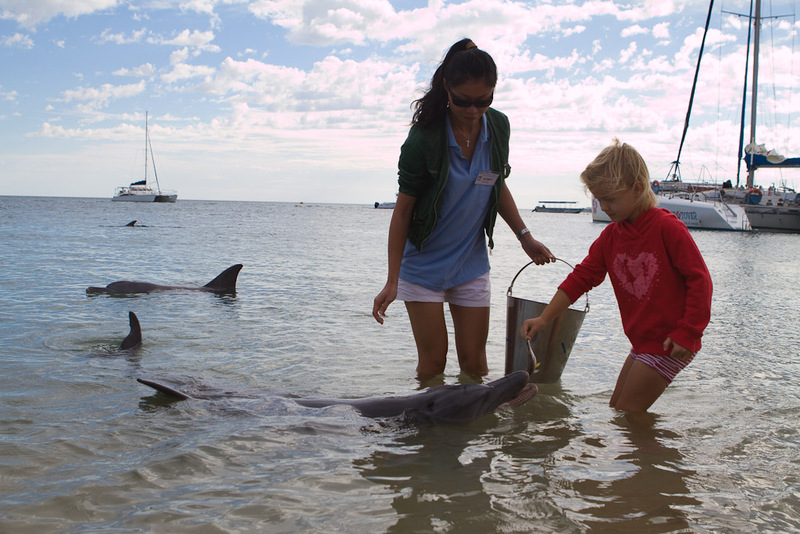 A little girl feeding the wild dolphins at Monkey Mia. 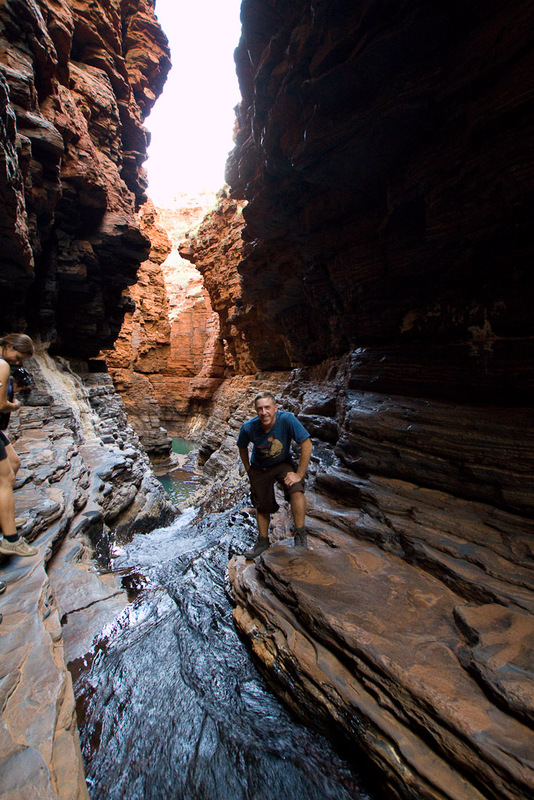 At the bottom of one of many gorges in Karajini National Park. Stunning. One of the crew takes a shot out the window while 4WDing through one of the national parks. 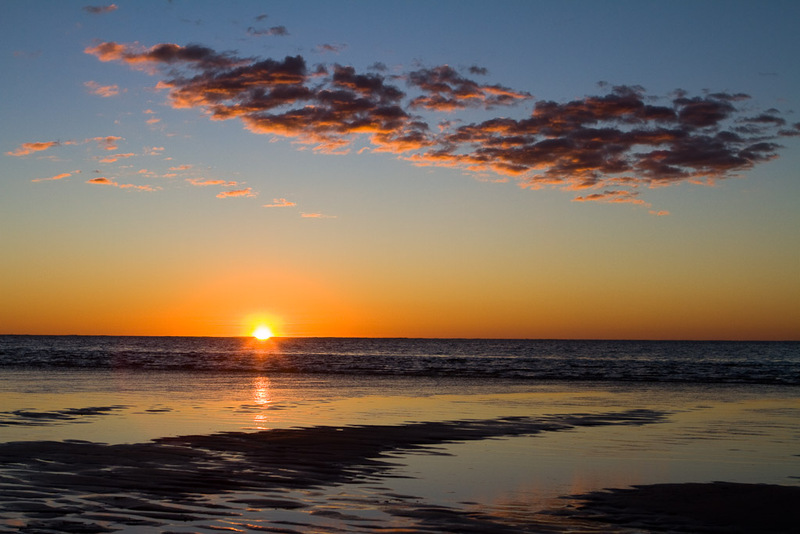 The sun sets in Coral Bay. Love the second to last one of the hands out of the window the best! It really tells a story. Keep it up! I just found your blog through twitter. I’ll check back.